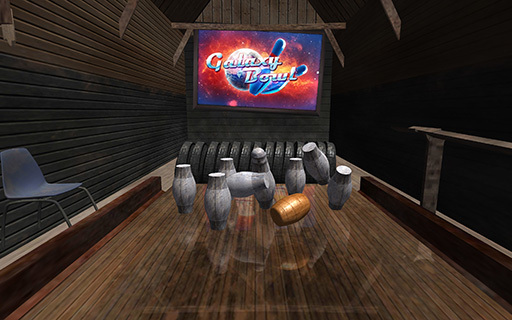 Galaxy Bowling is a fun bowling game for mobiles and the web. Playable by bowlers of all skill levels, it has amassed millions of fans across the world. Pick up and play right away, hone your skills in practice mode, or take on the globe in daily tournaments. Fun pick up and play gameplay. Touch to position the ball, and then swipe your finger to roll it. Tilt or swipe your finger to add spin. Ten pin bowling, 100 pin challenge, iron pin, shuffleboard, and pick up spares modes! Candlepin, Duckpin, Five Pin, Skittles, and Nine Pin variations! These have new pin types, balls, rules, and challenges. Beautiful 3D graphics. Reflective lanes and shiny bowling balls look great on any device. 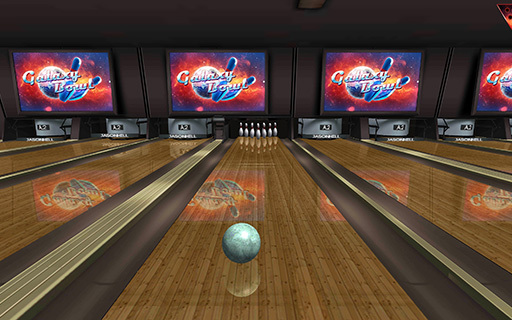 Top bowler leaderboards and local multiplayer. Unlock new planet-themed balls, conquer challenging achievements, become a pro bowler, and complete your voyage of the solar system. 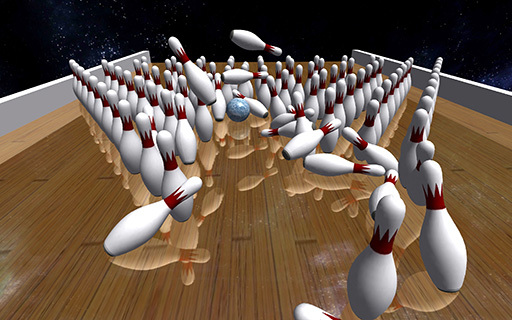 One of the most popular bowling games in the world today. Score strikes, spares, and turkeys. Avoid gutterballs! Practice challenging spares. Clear stages to free new balls. The best way to becoming a champion bowler is practicing pick ups. Knock down as many pins as you can in 5 throws at a rack of 100 pins! If you thought 10 pin was challenging, try this! Best possible score is 500. Invented in 1880. Candlepin is a popular bowling game in New England with great challenge. Candlepins are thin skittles that bounce and spin unpredictably when struck. Pins aren't cleared between rounds allowing you to knock them into upright pins. Invented in 1904 in Canada. In 5 pin, each pin is worth different point values. Spares are strategic attempts to hit the most valuable pins. A perfect game is 450 points! 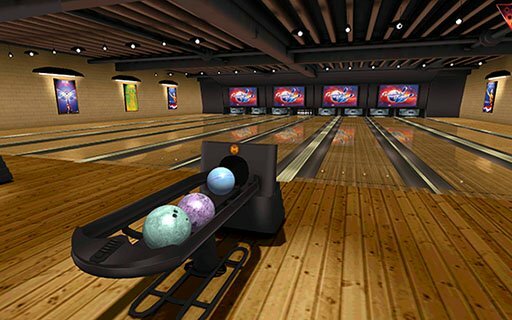 Invented in medieval Germany, 9 pin is what most later games are based on. Nine pins are arranged in a diamond shape with a "kingpin" in the middle. Knocking all the pins over earns 9 points. Knocking all the pins over but the kingpin earns 12! Knock over pins by throwing a barrel-shaped 'cheese'! To score points, you first have to topple the kingpin. It's tricky to master when the ball bounces freely! Invented in 1904 in New England. Duck pin uses the nearly the same rules as 10 pin bowling, but allows 3 rounds to knock over all the pins. The ball and pins are smaller making precision very important to score well! Iron pin is the same as the normal game but one random pin is much heavier than the others. A bowler needs to consider how to knock over the heavy pin and still keep the ball in play. Challenging skittles on a shuffleboard table! Knock over the pins with a weighted puck. A popular bowling game that has been played in British pubs for centuries. League games were free to draw in the patrons. Best score out of three throws. Deep channels make gutterballs tricky to avoid.